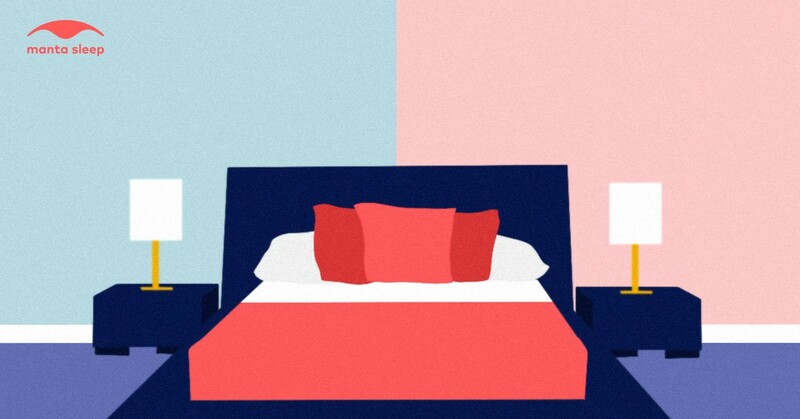 Are The Colors in Your Bedroom Helping You Sleep (or Keeping You Awake)? If you’ve heard the sayings “red-hot passion” and “green with envy,” you know that colors are often used to describe emotions. But did you know that just seeing a certain color can affect how you feel? For example, yellow can make you happier and purple can help you feel more creative. And here’s where it gets really interesting: colors can even affect the quality of your sleep. Keep reading to find out how different colors impact your mood and your sleep — and how to make sure the colors in your bedroom are helping you rest better, instead of keeping you awake. How Does Your Mood Affect Your Sleep? Before you can understand the link between colors and your sleep quality, you first need to understand how mood influences sleep. To fall asleep easily and get a good night's sleep, you need to feel calm and relaxed. That means you shouldn't feel stimulated, scared, anxious, or stressed. Your heart rate should be slow and steady. There are many factors that can affect your mood at night, from your partner’s mood to thoughts about a big meeting the next day, or reflections on the day’s events. But colors, especially your bedroom colors, can influence your emotions too — which means they can impact on your ability to relax and fall asleep, without you even realizing it. While some colors make you feel stressed or stimulated, making it harder to sleep, others create feelings of relaxation and help you fall asleep more easily. You know that colors can affect your mood and, thus, your sleep quality. But which colors have which effect? Red: Red is a passionate and vibrant color. It can increase your heart rate and appetite. Orange: Orange can bring life and energy into a room. Certain muted shades of orange can be calming. Yellow: Yellow is a bright and happy color. It can quickly bring up your mood. Green: Green is also a happy color that brings a sense of nature into space. It can also be a calming color. Blue: Blue is the ultimate calming color. It makes you feel relaxed, at ease and peaceful. Purple: Purple is a stimulating color that can make you feel energized or creative. Brown: Brown can be a depressing color. It can make you feel on edge. Ready to go deeper? Read on to find out which colors contribute to better sleep, and which are linked to sleeping poorly. Which Colors are Best for Sleep? Different colors affect your mood in different ways, and your moods affect your sleep — but which colors are best for sleep? As a rule of thumb, the best colors for sleep are the ones that create feelings of relaxation. And when it comes to relaxation, no color beats blue (1). Ganglion cells in your eyes are highly sensitive to blue (2). They ‘see’ the color and associate it with a calming sensation that’s immediately transferred to your brain, which then enters a relaxed state that is ideal for sleeping. For that reason, people who sleep in blue rooms tend to sleep longer than others — and blue is widely regarded as the best bedroom color. Don’t like blue? Pick muted or toned-down shades of yellow, green, orange, or silver. These are also calming colors and can help you wake up happy. You now know the best colors for sleep — but there are also colors you should avoid if sleep is a priority for you. 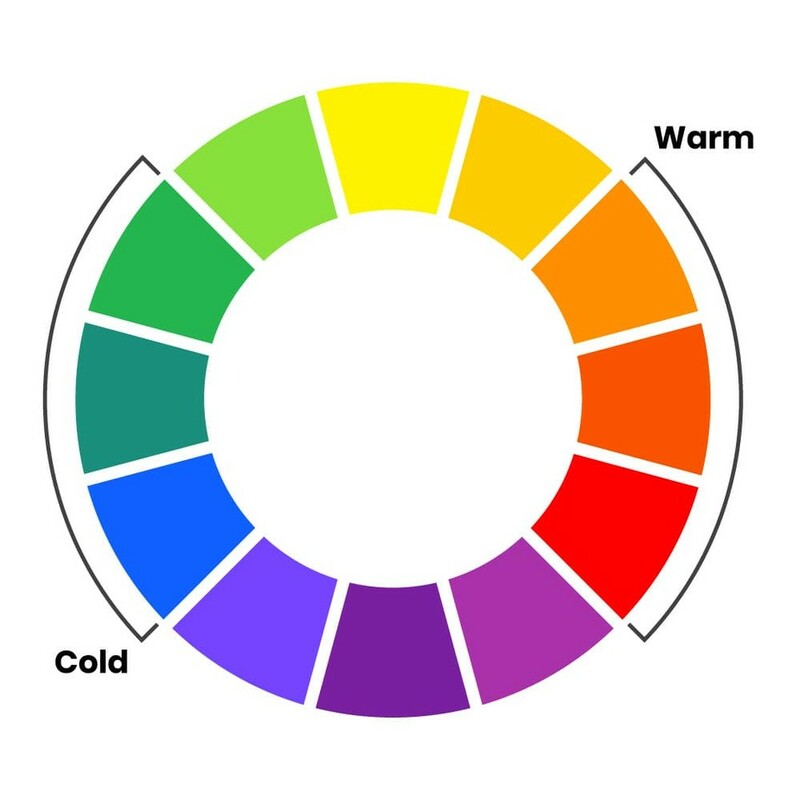 If you look at a color wheel, bright shades of red and orange sit directly across from the light blues and greens. And just as blue can make you feel calmer, the opposite effect can happen with red. Your heart rate can increase in a red room because red is stimulating and associated with aggression. For that reason, red is the worst bedroom color. So, whatever you do, avoid red in your bedroom. You really don’t want to feel anxious and stimulated while trying to relax into a good night’s sleep. Another color to avoid is purple, as it’s similarly stimulating and can cause you to have nightmares. Should You Repaint Your Bedroom? 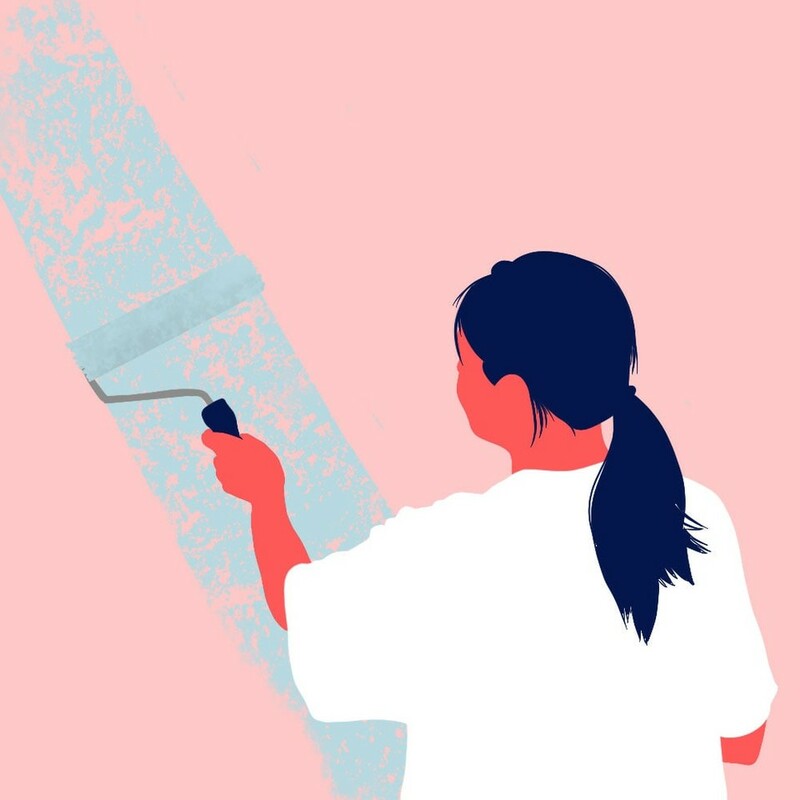 Only you can decide whether to repaint your bedroom — but before you break out your paintbrush, make sure you choose your colors carefully. And beyond color, make sure you carefully choose the type of paint you will use in your bedroom. Pick a flat, non-glossy paint, because glossy paint can reflect light and make it harder to relax. Also, make sure any accent colors in your bedroom complement the main wall color, as contrasting colors will stimulate your brain and make it harder to relax and sleep. Now, over to you. Have you ever noticed that you sleep better in blue bedrooms than red ones? (2) “The Best Colors for Sleep." Sleep.org, www.sleep.org/articles/best-colors-for-sleep/. Accessed 25 Mar. 2019. This is the best color for your bedroom.